Site B-52 is located in the headwaters of the Blue Jay Creek just downstream of a major cold water spring. This large cold water spring supplies the majority of water for the Blue Jay Creek. 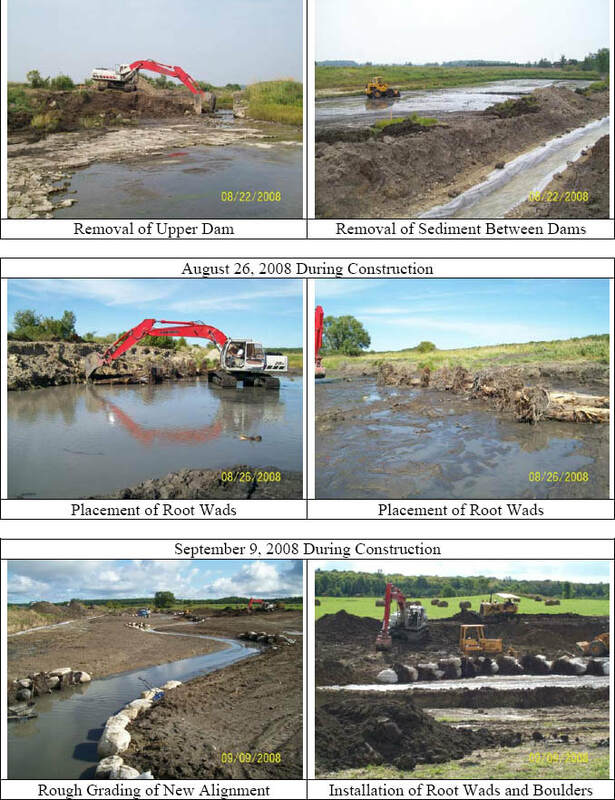 A dam was created approx. 500 m further south from this cold water spring in the early 1900’s to create a large holding pond for livestock watering purposes (pers. comm. P. Edwards, 2007) and destroyed the adjacent riparian area by their historic foraging patterns. Livestock no longer graze in the adjacent fields. This dam had for nearly 100 years halted the migration of native and naturalized salmonids and all other associated aquatic species. The dam had also caused water temperatures in the head pond to increase to a point where the outflow of these warmed waters have negatively impacted the aquatic environment for cold water species downstream of the dam. Manitoulin Streams worked with the landowner to decommission the dam in 2008 by de-watering the pond in an environmentally sound manner, removing built up siltation; and engineering and rehabilitating the stream channel back to its original natural course using a variety bio-engineering techniques. In 2009, the rehabilitated site B-52 required riparian vegetation and the establishment of a shading tree canopy to be established over an approx. total area of 1.0 ha. There was a need to complete restoration efforts for this site because of its close proximity to these locally important cold water springs. 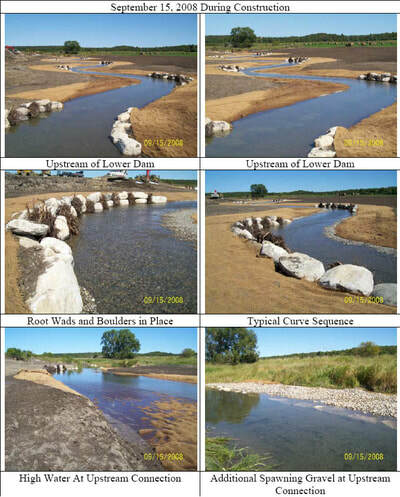 With this major source of cold water and the newly improved fish habitat features, this site has proved to support a high increased productivity of native brook trout, coho salmon and rainbow trout. Manitoulin Streams had an electro-fishing survey conducted by Great Lakes Environmental Services in the early summer of 2009. 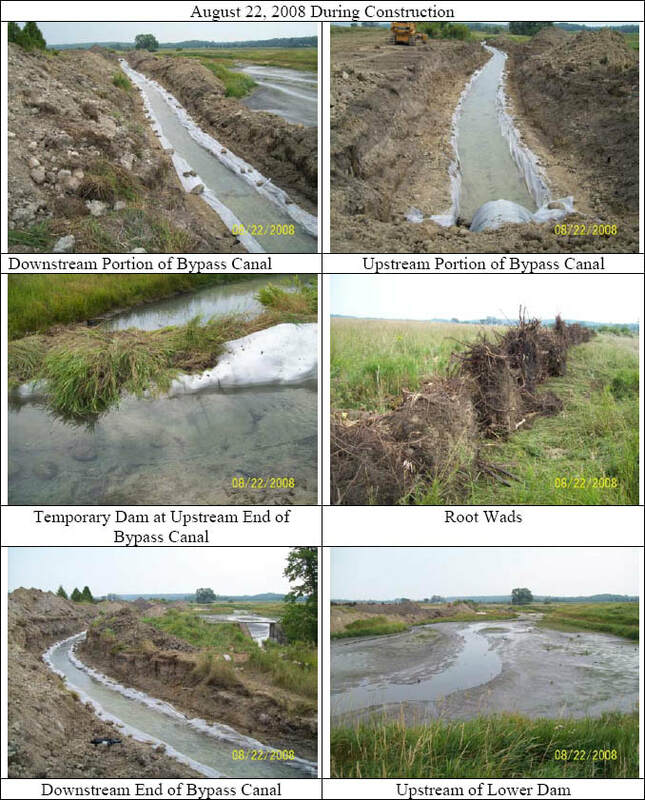 As well, College Boreal conducted fall electro-fishing surveys that indicated high spawning rates along a 230m reach of newly created spawning channel habitat. 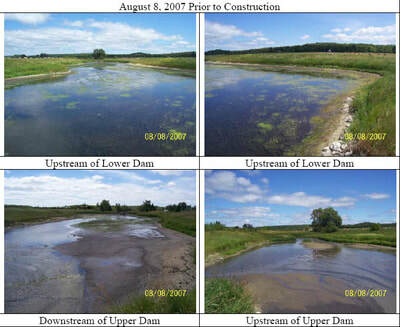 The establishment of the riparian area was essential to filter nutrients from adjacent agricultural operations before they reach this cold water stream; stabilize the shoreline, reduce erosion and the amount of sediment entering into the water, and ultimately provide shade and cover for fish, and improve water quality as well as wildlife habitat (frogs, snakes, birds etc.). This site required planting native vegetation along both sides of this 230m stretch of the creek. 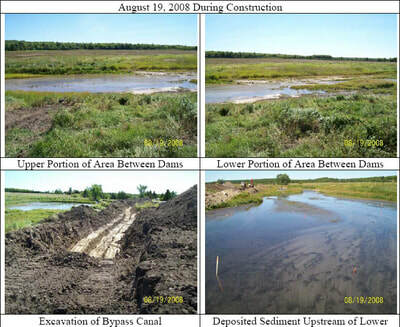 To further increase bank stability, rehabilitate the riparian area and improve river aesthetics; native riparian vegetation (eastern white cedar, red-osier dogwood, black willow, hybrid poplar, American high bush cranberry, nanny berries, white birch, white spruce, tamarack, red maple, sugar maple, and silver maple) was planted along the shoreline of the 230m stretch from the recently re-established shoreline to up to 30 m back from the edge. The adjacent shoreline 2:1 graded slopes were further seeded with a native species plant mix. The tree planting was completed according to the site plans through the cooperation of the landowner, volunteers, College Boreal, staff and students ofManitoulinSecondary School. 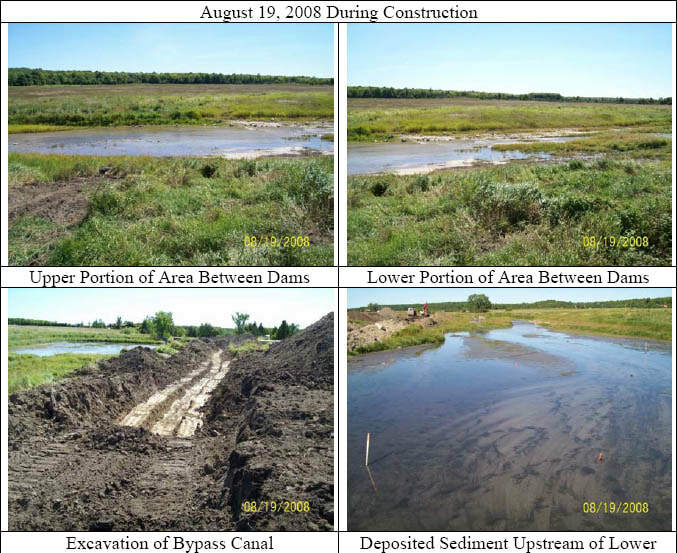 Manitoulin Streams had numerous meetings and email communications to discuss the details about this project to ensure proper delivery of the tree planting project and organization of volunteers. A total of 193 volunteered hours was dedicated by 8 “Manitoulin Streams” committee members attending meetings to discuss planning procedures. This project had a total of 94 volunteers for a total of 862 hrs working on this project at various times. Funders for this project included COA funds for the spring tree plant (6000) and CFWIP funds for the fall tree plant (8,000). A total of 14,000 trees were planted at this site.